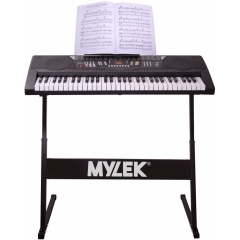 If you’re looking for an easy way for yourself or your child to learn to play music, a MYLEK keyboard is the best place to start. Designed to be easy to pick up for beginners, but with enough features and a high sound quality that makes them a good choice for intermediate players as well, MYLEK’s keyboards make for a perfect Christmas or birthday gift for the aspiring musician in your life. Whichever model you choose, you’re sure to get a keyboard that teaches you to play the piano in whatever way works best for you. 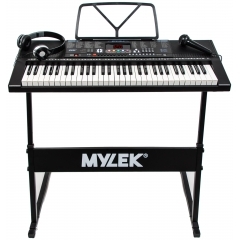 MYLEK keyboards are known for being incredible value and are packed with features to help you along your musical journey. Pick a keyboard with auto-chord, mic inputs, or with UDISK and 3.5mm jack inputs to let you play along with music from your phone or mp3 player. 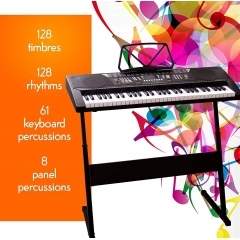 MYLEK keyboards put you in control of your playing and allow you to learn at your own pace. 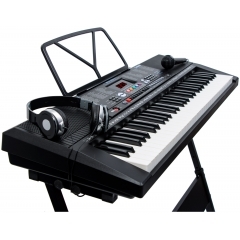 If you’re not sure about which electric keyboard is best for you, our customer service experts will help you make the right choice. Just give us a call on 0800 091 3171 and we’ll be happy to help.